I have a bunch of new inserts that I never used. Take them all for $30 ppd...thats less than $2 per insert and they are all NEW! 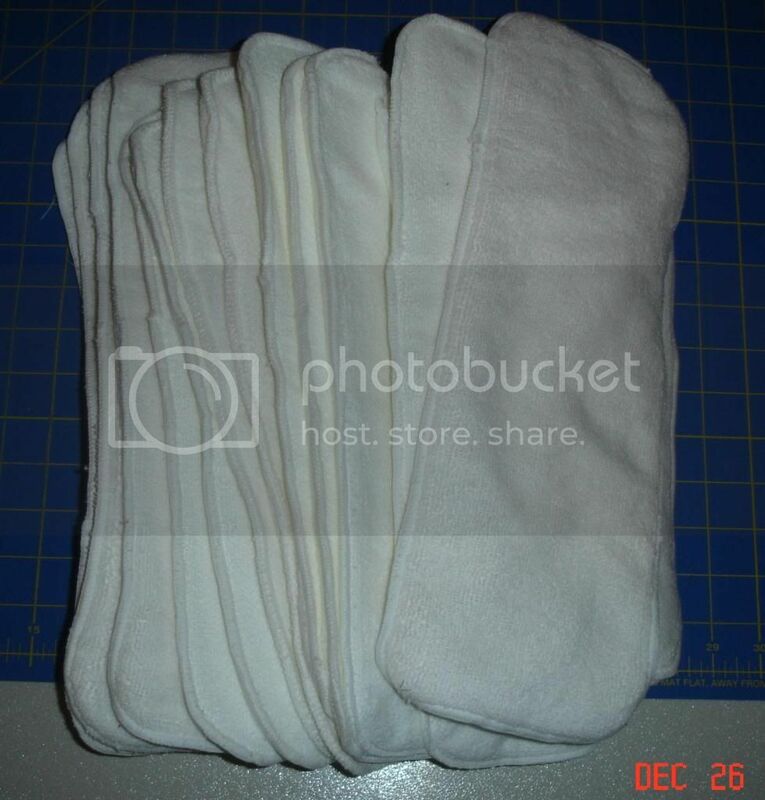 11 microfiber inserts (3 layer) measure 5"x14". Two of them have a snap to fold it down to be smaller. 5 mirofiber inserts (4 layer) measure 5.5"x15". 2 bamboo terry inserts (3 layers) measure 5"x14". Have a snap to fold down to smaller size. Last edited by CarrieB; 12-27-2012 at 09:34 AM. PMed you in case pp falls through. Baby#6 coming in August 2017!